Especially now with the EOS lawsuit craze (read about it here), I've started to reflect on my favourite lip treatments, and why they work for me. To be completely honest, I'm not wildly impressed by EOS - and I've tried many of their little baubles over the past few years. The only one I used consistently was the "sweet mint" flavour. I found the formula to be waxy, sitting on top of my lips versus sinking in and nourishing them. 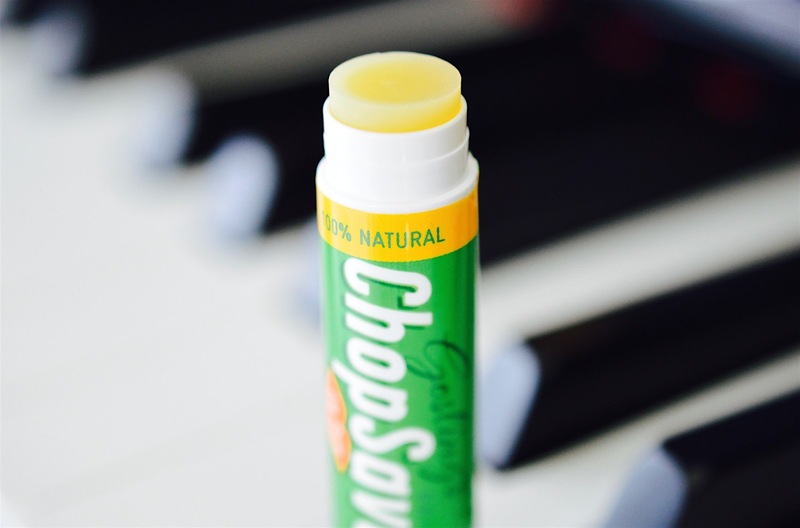 This is an example of a lip balm that is somewhat "addictive" - there might be temporary relief, but no long-term healing. Like with most moisturizers, anything containing natural plant oils is going to do a fantastic job at healing and conditioning the skin. 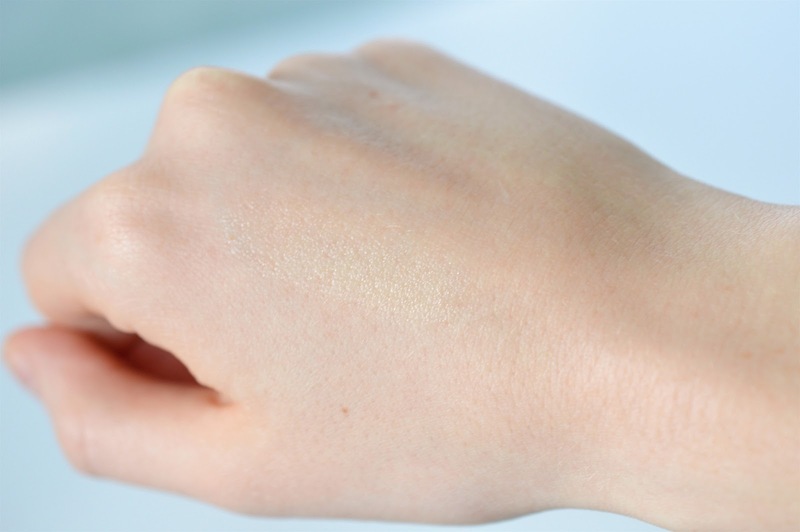 Compared to synthetic/mineral oil, plant oils have a very small molecular size, so they are able to absorb into the skin to deeply nourish the most dry and irritated parts. That's not to say that a mineral oil product (Aquaphor Ointment, Vaseline, etc.) won't work - it will work to create a barrier from the elements, while locking in the moisture that your skin already has. 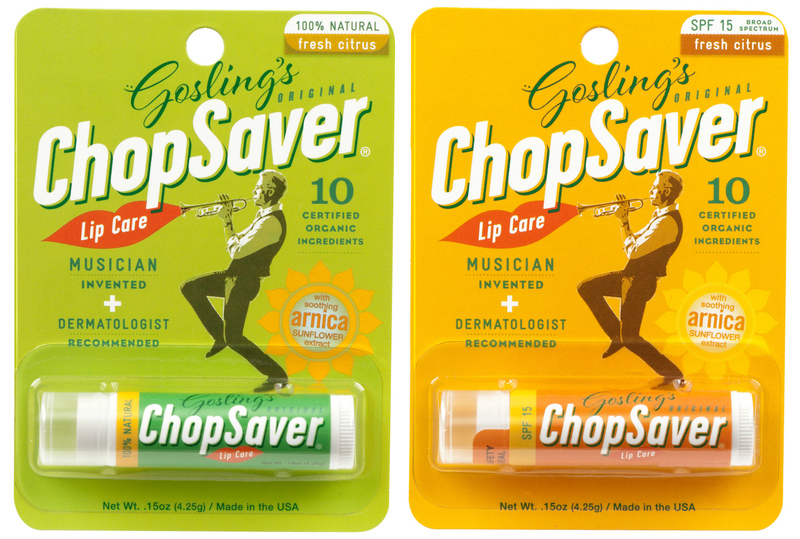 Gosling's ChopSaver lip balm has been created especially for musicians, and it is sold at most music stores in the city. (Store locator linked here) If you happen to be in the US, it's also sold at CVS Pharmacy. 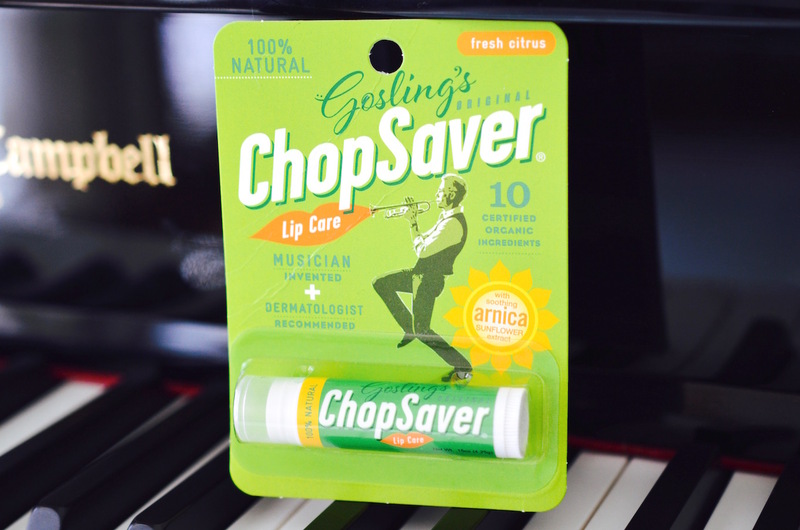 I wanted to get the opinion of a retired musician, who relies on lip balm especially during the winter commute. 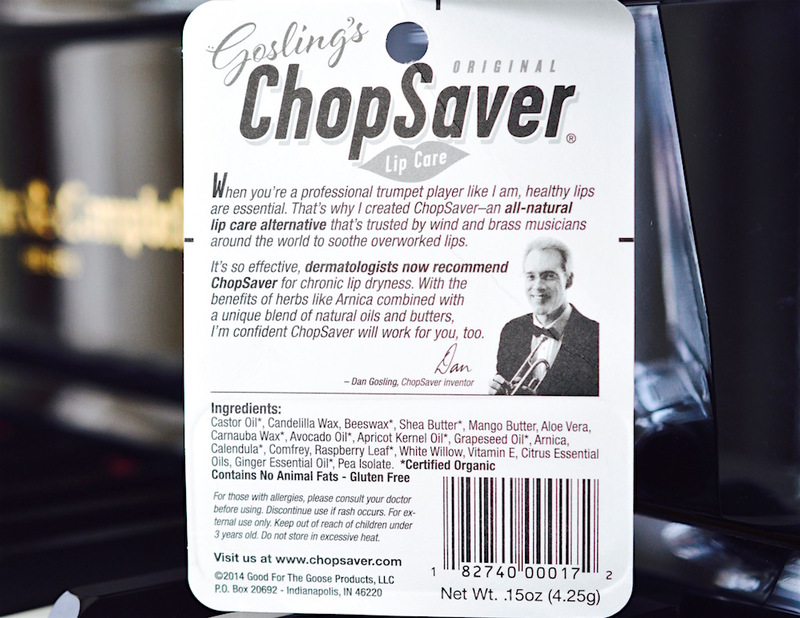 Joseph, the former french horn player says, "it has a nice scent, feels smooth, doesn't burn the lips, and lasts for a long time." Approved! I also tried a foil packet sample of their orange tube version with SPF 15. I am quite sensitive to the "sunscreen" taste, but it would be great for outdoor winter sports or the hot summer months. My favourite way to apply lip balm is right after the shower. I'll gently exfoliate with a soft towel or tooth brush, then smooth on some balm - especially before bed. Hey Andy! Yes, it looked like such a cool product so I couldn't pass up trying a tube. Hopefully it'll become more widely available in Canada, because I'm totally loving the fresh citrus flavour. eos is the only brand that actually helps me. I have a really problem with petroleum based lip balms. I can't stand the feel of them, since eos is shea butter based, it's one of the few I can tolerate (Fresh Sugar is another). I get horrible chapped lips, but if I sleep in eos, they don't crack. I also get bacterial (non-herpes) lip sores if I get anything germy/nasty on my face. The orange one is the only thing that helps those because it's antibacterial.